Things I Believe in This Week: Coffee, Lipstick, & Not Pretending. | The girl who loved to write about life. 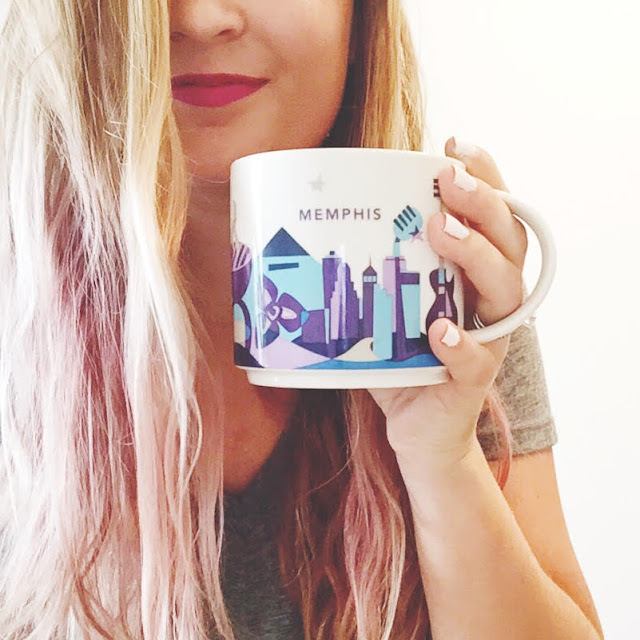 Things I Believe in This Week: Coffee, Lipstick, & Not Pretending. This week, I believe. . .
. . .In coffee. To be fair, I always believe in coffee. I am coffee's biggest cheerleader, always. But this week, I have extra, extra belief in coffee. When I think back to seven months ago, when Jack was still waking up every hour and a half, I know that I have no reason to be this tired now that he's pretty much sleeping through the night. But I am. I so am. So to that glorious, steaming cup of coffee: Thanks for making me a better person. . . .That wearing lipstick instantly makes you feel better. As of four years ago, I never, ever wore lipstick. Or lip color of any kind, really. And then one day, I was in Target, and I was having one of those days where I was reallllly feeling my outfit. You know the kind of day I'm talking about...the ones that make you think, hey, maybe I'm way cooler than I thought I was. I saw some bright pink lipstick, decided I was most definitely cool enough to pull it off with my awesome outfit, and have been a believer ever since. . . .In being honest about how you're really doing. No one is happy all of the time. No one has a good day every single day. But when someone asks how you're doing, what do you say almost every time? I'm good! How are you? I wrote about the unexpected death of someone who was very important to my family two weeks ago. And then, my grandma's death last week. Some other not-so-fun stuff has happened in between that, and with it all added together, you know, I'm just not having the best week. So when a friend of mine asked how I was, I answered honestly. I'm having kind of a crappy week, but it's all good. Do you know what she said? She said, No, it's not all good. It's part of life, but it doesn't mean it's all good. And then we moved on with our day. The world didn't crumble because I said I was something other than great. It just made me realize that when it comes to those who are close to us, there's no reason to pretend we're doing wonderfully if we're not. That's what friends are for, right? So let's all agree to stop pretending. The world won't fall apart, I promise.